a woman in ancient times supposed to utter the oracles and prophecies of a god. a woman able to foretell the future. 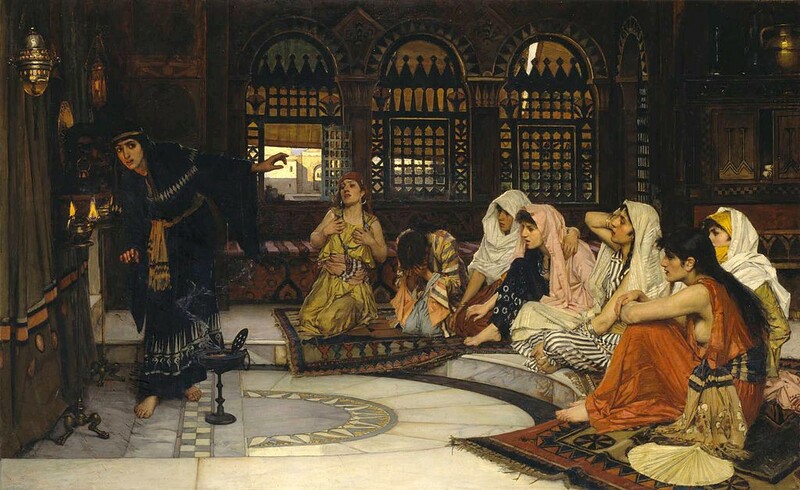 Sibyls appear often in art and fiction and I find them indicative of female power and mystery. They represent arcane knowledge of the future, usually sought by someone on an important life journey. Even now, stories of them persist. 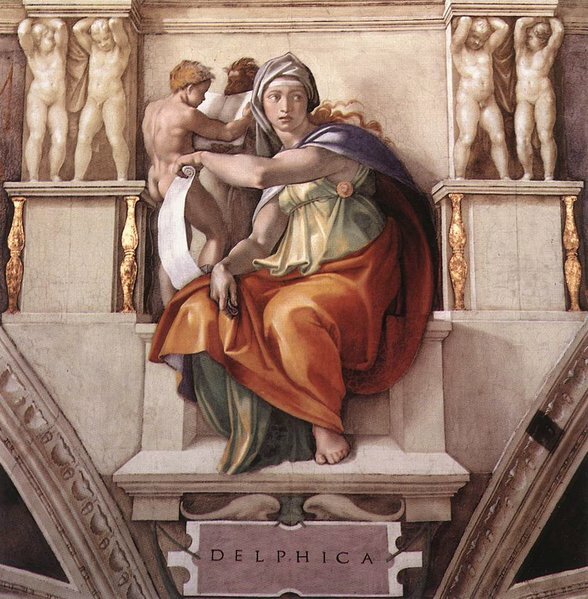 Haven’t we all heard of the Oracle of Delphi? The Oracle of the Matrix franchise is the most recent creation of a sibyl I can think of although there may be more. Mythological and classical figures have a way of masquerading as tropes in many television and cinematic projects. Gloria Foster as the Oracle in The Matrix pictured here in a scene with Keanu Reeves. 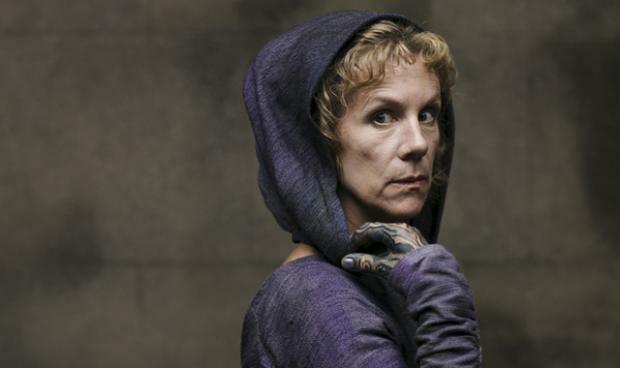 Juliet Stevenson as the Oracle in BBC’s Atlantis. 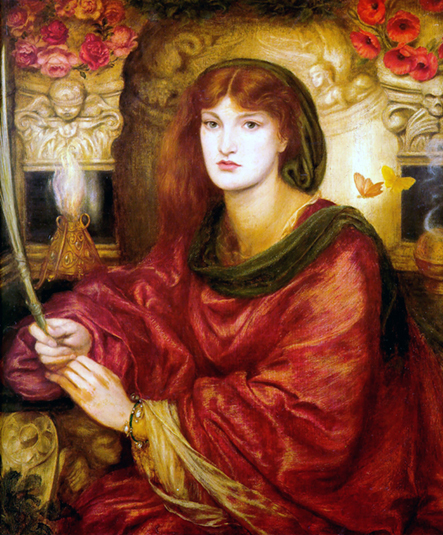 Rossetti’s Sibylla Palmifera did not begin as a sibyl. The work was intended to be simply Palmifera, meaning palm-bearer, and Rossetti said she was ‘to mark the leading place which I intend her to have among my beauties.’ I’m not sure how she evolved from being merely a symbol of beauty to a sibylla or prophetess, but it makes perfect sense. Rossetti revered the female form almost as if depicting it artistically was a religious endeavor. He used a beautiful woman to represent the soul in his early fiction work Hand and Soul and I think that he is using the same device in Sibylla Palmifera. She’s beauty, but she is much more than just physical, earthly beauty. Like all sibyls, she has the beauty of arcane secrets and truths surrounding her. She is an ideal form of beauty to appreciate and pursue. The painting and the sonnet both incorporate dualities, a recurring theme in Rossetti works. The sibyl is enthroned between love and death. 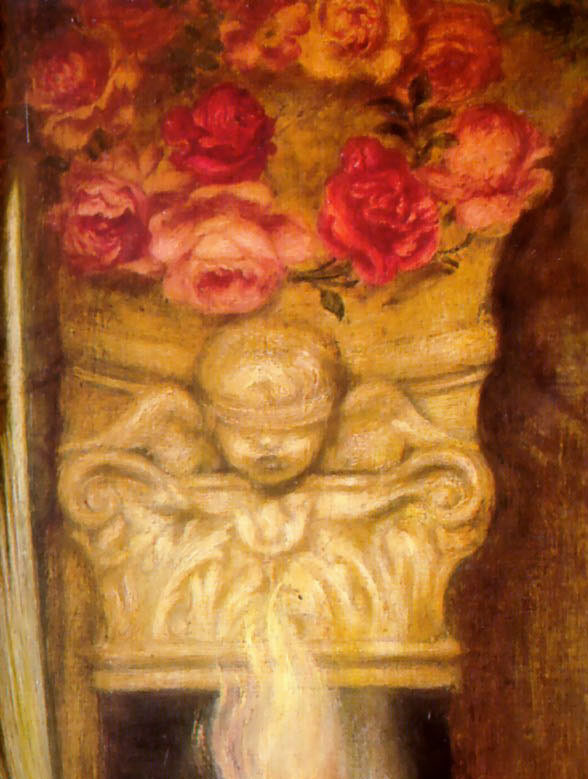 Love is seen on the left side of the painting in the figure of blindfolded Cupid. 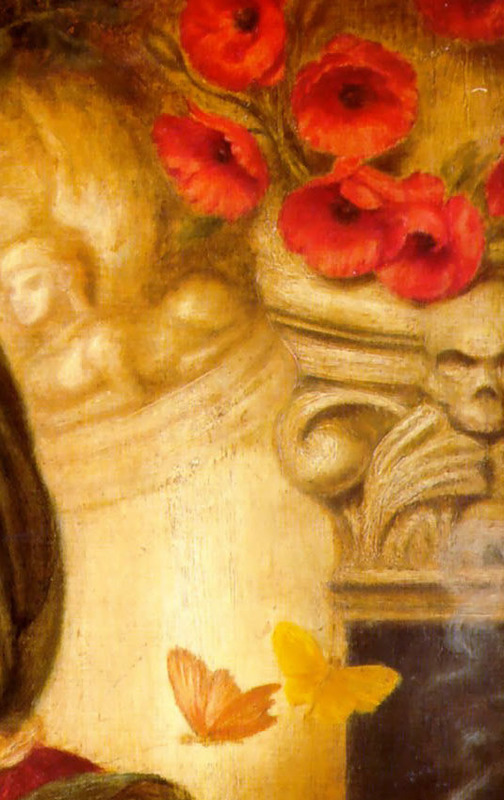 Death is seen to the right, represented by a skull underneath poppies. Poppies are symbols of sleep, death, and remembrance. Flying just under death and next to the sibyl are two butterflies, which symbolizes our souls. Between love and death is the beauty enthroned, waiting to tell you your fate. Here we see the face of Alexa Wilding. 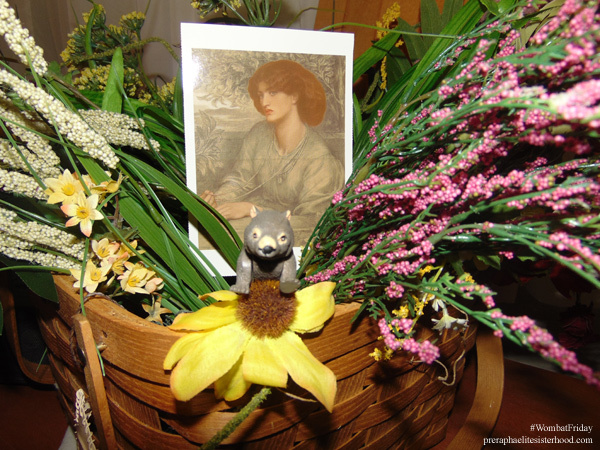 Her own fate was changed when Rossetti discovered her on a crowded street. Her face appears in many of his works, including The Blessed Damozel, Veronica Veronese, and La Ghirlandata. You might be interested in a fictionalized account of her life, A Curl of Copper and Pearl (my review here). Sibylla Palmifera is known as ‘Soul’s Beauty’, an antithesis to Rossetti’s painting of Lady Lillith, known as ‘Body’s Beauty’. 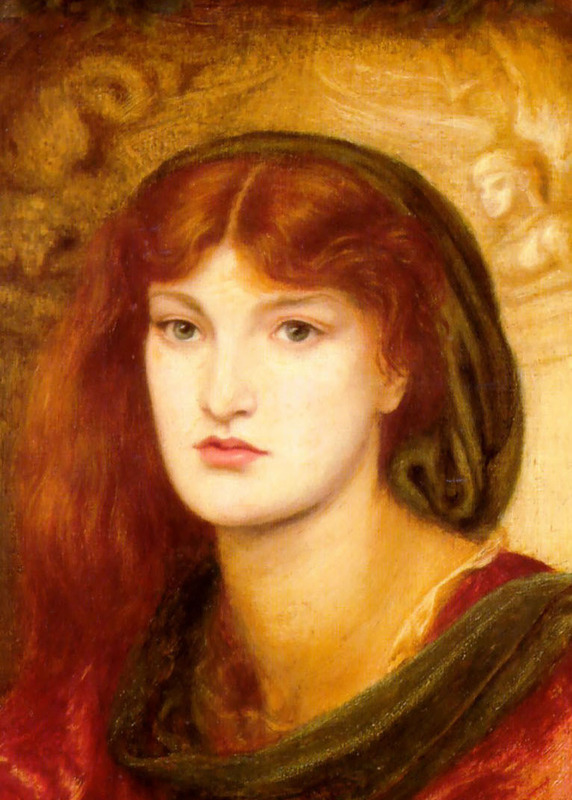 We can see Alexa’s face in both although it is interesting to note that originally Rossetti used Fanny Cornforth as Lilith. Rossetti was not the only Victorian artist to depict a sibyl. 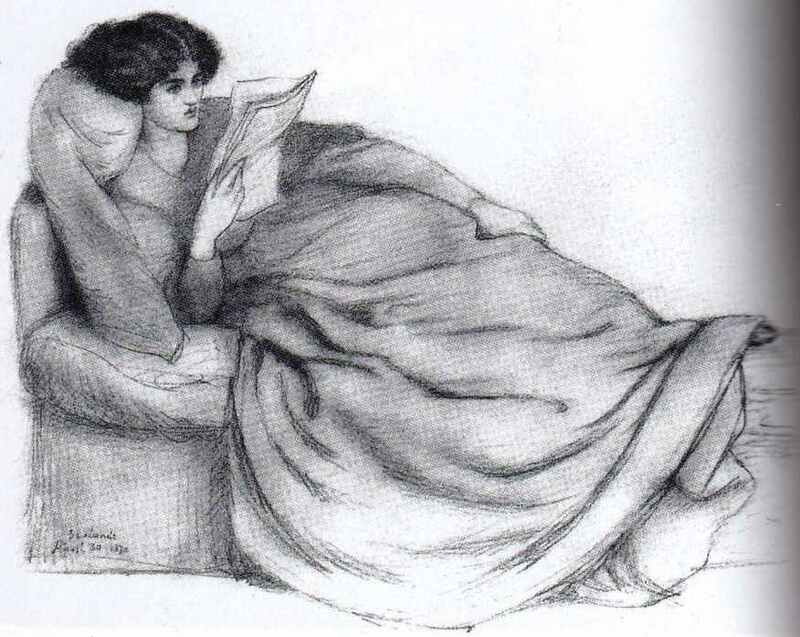 Sibylla Delphica, or the Delphic Sibyl, by Sir Edward Burne-Jones. In literature and movies, the sibyl is a useful plot device. 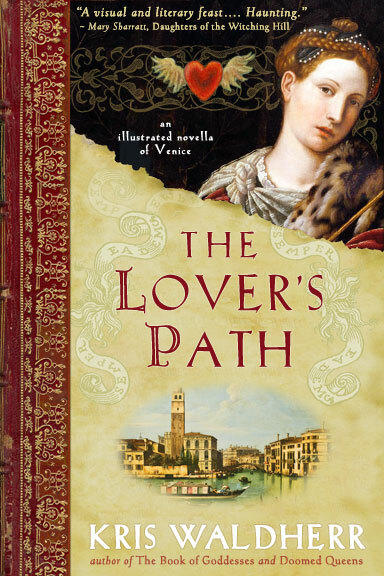 She’s never the most important part of the story; the compelling part of the tale is always the journey a supplicant makes to get to the sibyl. She may be the end of the chapter, yet once she imparts her secrets she becomes the beginning of something new. Thus, she is a turning point in life. Sibyls often spoke in riddles, which means you must rely on your own wit and cunning in order to make the right choices. I see the sibyl as a catalyst for change. That’s the inspiration we should draw from these works. I look at these beautiful Victorian sibyls and know that I can allow them challenge me, to dare me. Life can pose riddles and while I may not have all the answers, I can appreciate the journey. Perhaps that is the true message of the sibyl.